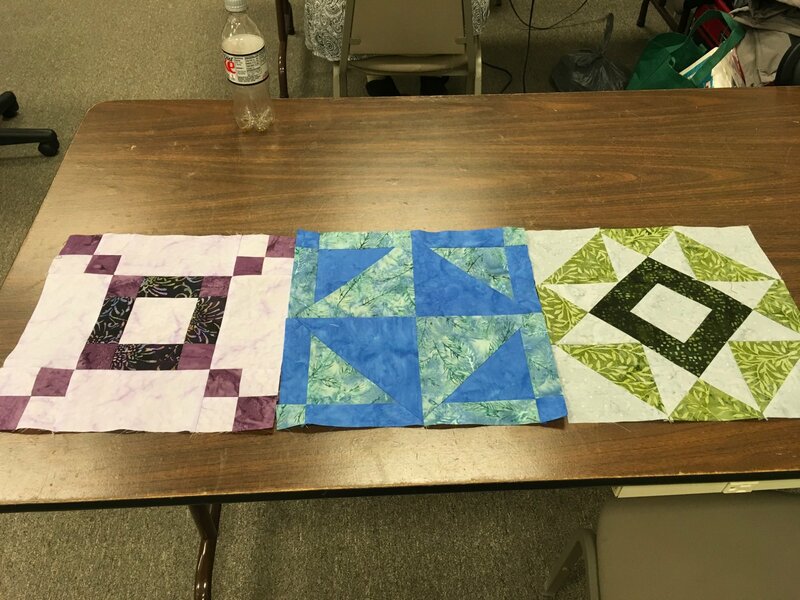 Quilts Plus 2018 Sampler has two new color ways to choose from featuring 12" blocks in your choice of batiks or "nature" fabrics. This is a 12 month program, and runs $ 5 per month - per block. That would put the yearly cost at $ 60 for 12 blocks plus shipping of $ 13.35. We have our pick up day as the 2nd Monday of each month with 3 meeting times - 10:15, 1:30 or 3:30. We will be demonstrating options for construction at each session. Blocks of the Month to be mailed will go out after the 2nd Monday of the month. There will be a YouTube video available on our web site, or on our YouTube channel.